Mazhar quietly sits behind his desk as crowds drift in to his shop, some to have a taste of the famed Jauzi ka Halwa and other for a takeaway back home for some of the best sweets being made at his shop. The shop, a 100 year old history to it looks old and run down and is bang in the middle of the Nampally Traffic Street in Hyderabad. But the quality of the sweets and no compromise of the items being dished out from his shop which is still a favorite with a lot of the Hyderabadis. 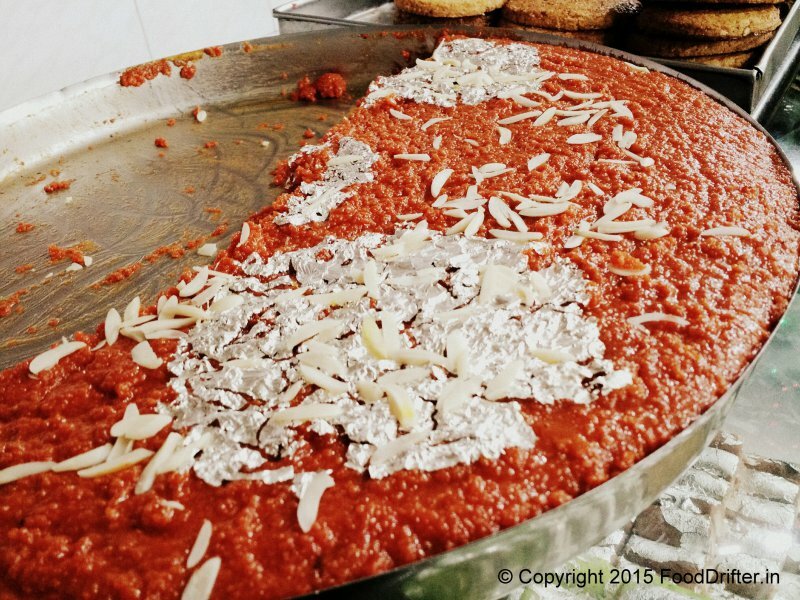 The Jauzi ka Halwa was part of our list must dishes to try for the Best of Hyderabad in 24 hours.